Jeff “Beachbum” Berry tried mixing his first exotic cocktail in the 1980s–explicitly following the directions on the back of a Minute Maid frozen limeade can. 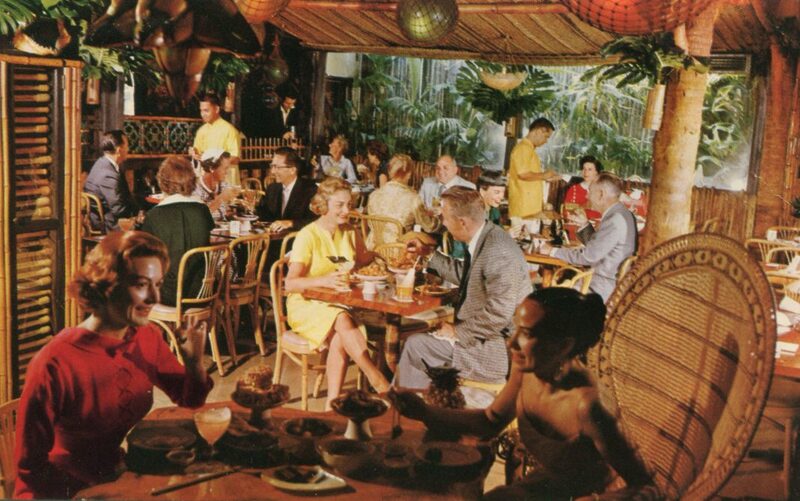 Disappointed in the results, he spent the next 30 years collecting the secret recipes, stories, and artifacts from dozens of lost tiki palaces, including Trader Vic’s, The Luau, and Don the Beachcomber in Hollywood, where the idea of the tiki bar was born in 1934. 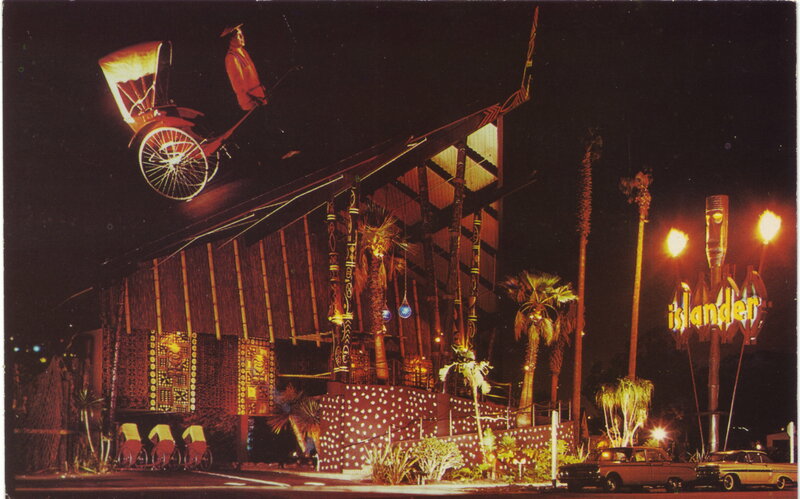 The Islander on La Cienega Blvd. In his new book, Beachbum Berry’s Sippin’ Safari: In Search of the Great “Lost” Tropical Drink Recipes…and the People Behind Them, the master mixologist regales us with tales of hunting down the old masters, unearthing ancient bartender notebooks filled with the secret symbols of forbidden knowledge, and his years of R&D. 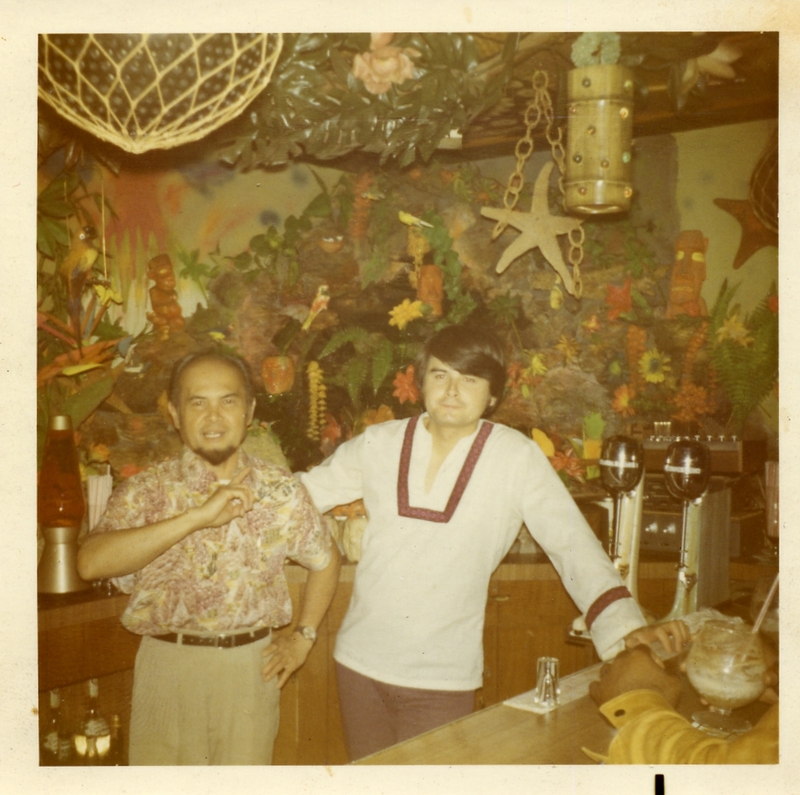 He didn’t just decode the originals—he adapted them for a new world where some of the vintage ingredients and forgotten rums are no longer available, and the palates might not be accustomed to the high-octane potency of drinks like the Nui Nui. 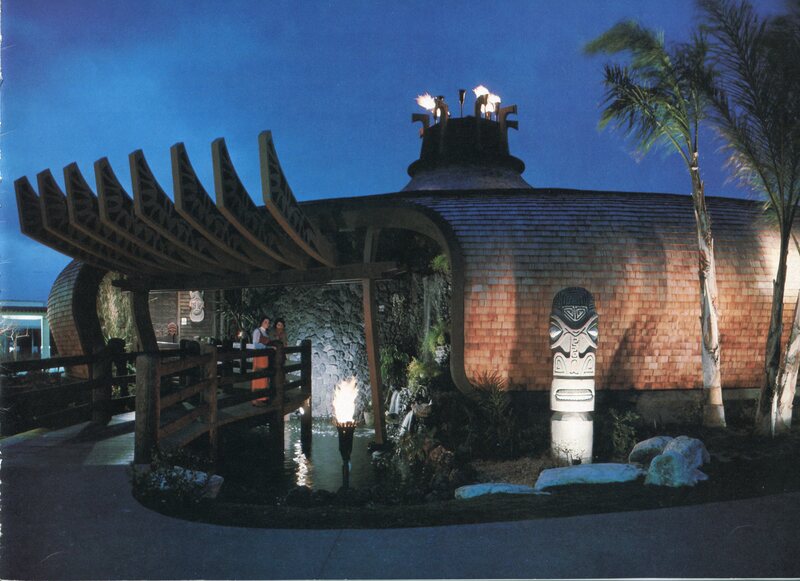 Berry grew up in the San Fernando Valley and was captivated by the fading glory of Polynesian restaurants like the Bora Bora Room in Encino, which were disappearing fast in the 1970s and ’80s. 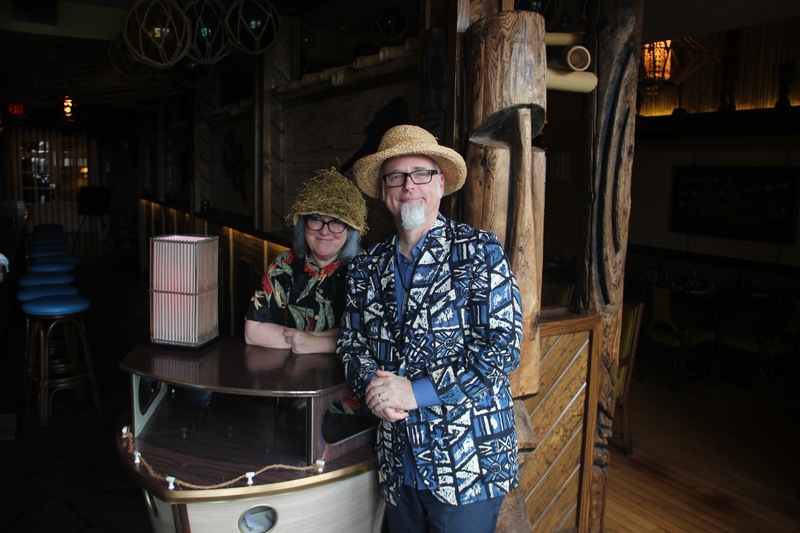 He teamed up with urban archeologist Sven Kirsten and a small band of tiki lovers (hey, that’s me on page 23!) to explore the ruins of a lost culture before taking on the great responsibility of resurrecting these favorites. 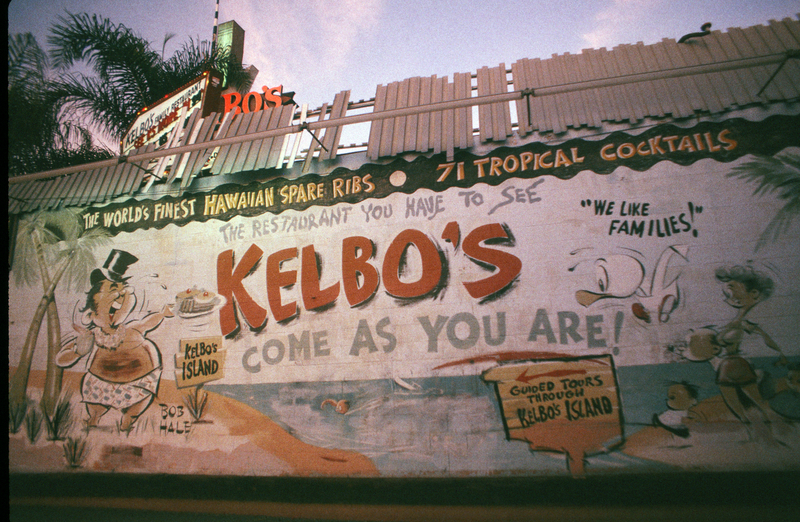 Today, you can find him telling tales at his own tiki bar, Latitude 29 in New Orleans. Even if you have the first printing, this fancified tenth anniversary deluxe edition is gorgeous with its modernist turquoise tapa cloth binding and lush vintage photography. It also expands the body of research with more than a dozen additional ancient potions brought back from the brink of extinction, and enough swizzle sticks, postcards, and classic menus to prove that this fanciful golden age actually happened and was not some drunken dream. Previous articleSo, When Is it OK to Float Down the L.A. River? Next articleRestaurant Review: David Chang’s Majordomo Is a Stunning Love Letter to L.A.